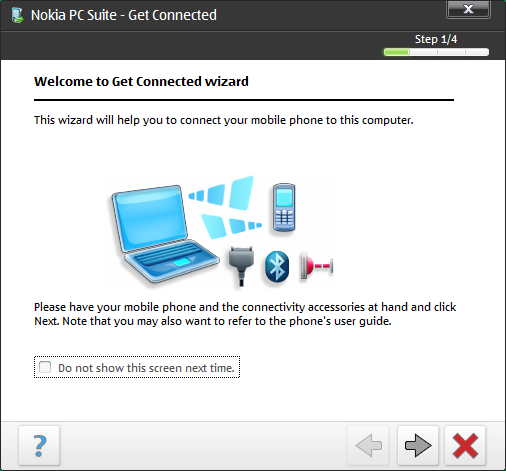 Nokia PC Suite is a software which lets Nokia phone owners connect their phones to their computers and do things like transferring files to and from the phone, backing up contacts, messages etc. and restore backed up data to other Nokia phones. 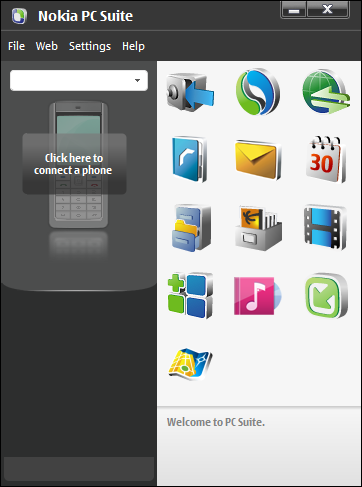 With Nokia PC Suite, you can even send multimedia messages by typing on the computer instead of the phone. The software suite is available for a limited amount of phones. You may go through the list here to see if your Nokia phone is compatible with the PC Suite. If you are using Nokia Lumia, then you can use Windows 8 built-in management utility for Windows PHone 8 devices. For older Lumia phones like Windows Phone 7.5 you may want to use Zune PC app instead. Nokia PC Suite is compatible with Windows Operating System only. If you want to use it on Mac, you will need to download and install Windows Phone 7 connector for Mac. Synchronize data including photos, video, audio etc. Use Internet on the computer using the phone’s GPRS. Synchronize and backup phone contacts. Install applications on the phone. Update phone software to the latest one. Although Nokia PC Suite can be installed on Windows XP, Windows Vista and Windows 7 and there is no mention of Windows 8, I have tried the suite on Windows 8.1 and it was installed successfully. 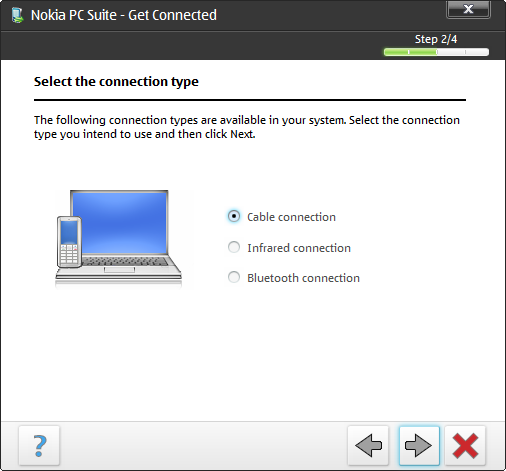 The above link always points to the latest offline version of Nokia PC Suite. Then why did they get sold out? Nokia might be the best in the traditional phone market but it’s certainly not the leader in smartphones. I think Nokia started the downward trend when they didn’t come up with a better product in the smartphone world. In contrast, look at Apple which has iPhone, Samsung which has quite a bunch of smartphone models available in all ranges and features, HTC and Lenovo are also competing but where is Nokia? What would have happened if Microsoft didn’t buy Nokia? I think Nokia was trying to go with the Android market which is more lucrative than Windows Phone but then Microsoft bought the smartphone division in order not to reinvent the wheel and continue their Windows Phone growth on the shoulders of Nokia Lumia phones which are already in the market.